The Fairy Bride for Miniature Fairy Gardening. The rabbits act as nature's witness. 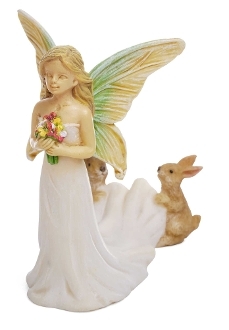 A perfect way to add life to your Fairy Garden Store garden!